She would often ask him what he was thinking or why he was so quiet. He frequently heard that he did not show emotions and he took life far more serious than others. At the onset, Chris resorted to writing his partner poetry. As time evolved, he would create simply to express himself or to help his partner simplify the enigma which he often portrayed. Eventually, he would create as a method of finding serenity, motivation, or self-reflection. While going through, the rites of passage of his storied life, he realized that he had a unique gift. The relationship has fizzled, although his passion burns brightly. After a near death experience, Chris was inspired to start writing. 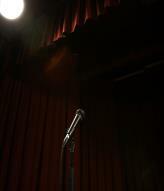 He has written over two-hundred poems. He writes from his heart, mind, and soul. Chris' writing has been known to move people. He feels that this is fitting, as he writes about anything that moves him. Join him on his amazing journey and follow him to his culmination! After reading my book, the man said "I'm shocked, you don't look like a writer." I asked him what does a writer look like? Did the man with the pale skin and the small frame look like one of the greatest entertainers in the world? Did Michael Jordan look like a dominating champion, when his high school coach told him that he was not good and probably would never make it very far! Did Emmett Perry, Jr. look like he would be one of the most successful playwrights ever, when he was homeless? Did Oprah look like she would own a network and become a billionaire when her critics told her that she didn't fit the mold? Did Eric Bishop look like an Oscar Award-winning actor when he was known as Wanda? I thought about it and told him writers don't have a certain look. We don't fit a certain mold but we are known to have one thing in common. A writer is one who has the ability to express his or her thoughts in a written form rather it be fiction or non-fiction. "I'm not just a writer, I'm an AUTHOR!" He smiled and responded "Yes you are, I love your work, and I would like to buy another copy of your book!" 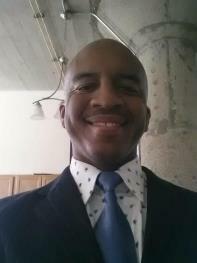 D. Christopher, or Chris, is a humble, quiet, confident, gentle man. From birth, he was classified as a shy or introverted person. Many times, when it was necessary to speak, he would remain silent because he was always looking for the right time or perfect line. A tragic event took place, early in his life, which caused him to go deeper into a shell. he had a knack for creating word play. His love for words, easily detecting grammatical errors, and sentence structure catapulted him into his passion for writing poetry. What Are People Saying About Chris Culmination D. Harvey's Book? Chase your dreams and follow your vision. 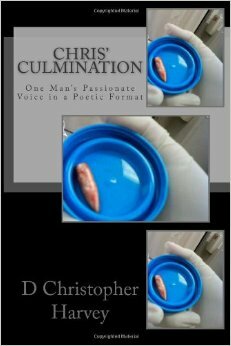 I published my first book in 2012, Chris' Culmination. It is a true must read, available on Amazon, Kindle, and Createspace. Chris' Culmination took me on a pure poetical adventure. As a reader I enjoy walking away feeling as if I know the author. I was there when he wrote them. Looking forward to his next book. D. Christopher Harvey’s poetry is direct and exudes great emotion. His honesty shines through his work.”Take care in the meantime and check our site for your book in the next month or so (www.slpl.org). Click on the “catalog” link at the top.